The East is open for business. The West is closed until further notice. 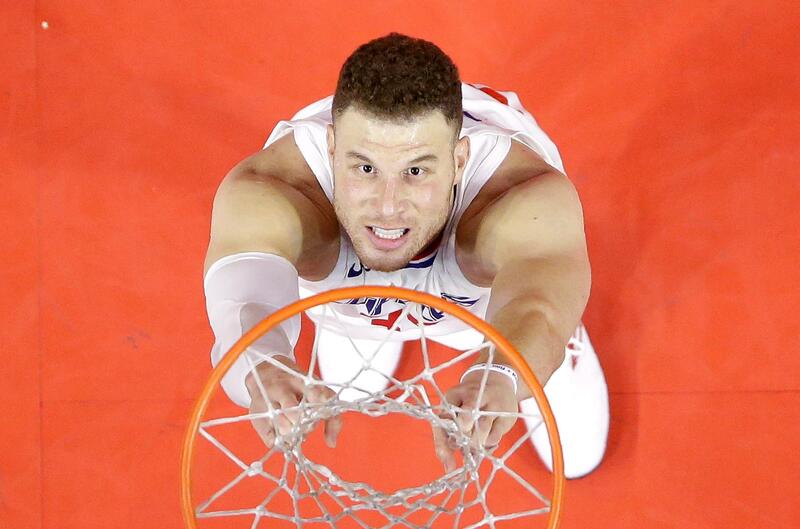 There’s the takeaway from the deal where Blake Griffin got sent from the Los Angeles Clippers to the Detroit Pistons, and it may be a theme for the next week or so until the NBA trading deadline. The Pistons see opportunity to contend in the Eastern Conference, while the Clippers know the Western Conference is out of their reach and a full reboot is needed. Other teams are surely thinking the same way. No rational person would look at the NBA right now and see a logical scenario where the champion this season is anyone besides Golden State or Houston. What Brad Stevens has done in Boston, especially after losing Gordon Hayward on opening night, is coach-of-the-year stuff. Toronto is better than most fans may realize. Cleveland has LeBron James, still the best player alive. Yet would anyone other than Celtics, Raptors or Cavaliers fans pick those teams to beat the Warriors or Rockets in a best-of-seven? As such, what happened late Monday makes a great deal of sense for the Clippers and Pistons. Start with Detroit: Griffin is oft-injured, but he’s only 28 and under contract for at least the next three seasons. When he’s right, there are few frontcourt players better. He and Andre Drummond – locked in for at least two more seasons – could be a frightening duo, given that this is a league where productive bigs are an increasingly endangered species. If this works, the Pistons could make noise in the East relatively quickly. And now, the Clippers: The best-case scenario this year was a brief playoff appearance. And that was a maybe. After going all-out to woo Griffin and sign him to an enormous contract last summer, they sent him away seven months later. DeAndre Jordan is free to walk this summer, so it would be a shock if he wasn’t traded in the next few days. They could have a ton of money to spend starting July 1, maybe two first-round draft picks as well. The Pistons believe they can make noise in the East. The Clippers know they weren’t going far in the West. So they did the next best thing: They entered The LeBron Sweepstakes. There will be almost certainly be another LeBronathon this summer. James loves Los Angeles, has a home there, has off-court interests that might make spending more time in Hollywood an appealing proposition. James won’t play for any team that doesn’t have a shot at winning a title, so the Clippers will have to do some serious planning and be ready to do some serious buying if they’re going to make this happen. It’s not a guarantee that James will leave Cleveland. If he does, maybe the Lakers will appeal to him. Or Philadelphia, with a young roster and players he likes. Or San Antonio, which has Gregg Popovich – a coach James reveres. But if Griffin was still in L.A., there would have been nearly no chance that James would be a realistic target for the Clippers this summer. To catch Golden State and Houston, someone is going to have assemble a superteam – like Miami did in 2010. Going the Philly route, with that multiyear cycle of tanking and drafting, tanking and drafting, tanking and drafting, takes a lot of time and a lot of luck. It’s more likely to come together through free agency, where the Clippers now may be a major player. The Pistons won’t be. They’re all-in now, a team that will try to build around bigs in an NBA where everyone shoots the 3 like never before. It’s bold. Now the question becomes which other teams in the East will make splashes. Cleveland is trying to make moves in an effort to help James get to the NBA Finals for an eighth straight year. Up in Boston, Danny Ainge is probably looking for another piece – whether Hayward makes a dramatic late-season return or not. Miami will talk deals, maybe even including the supremely talented yet often enigmatic Hassan Whiteside. Washington is in a tough spot with John Wall out for, at least, most of the remaining regular-season schedule. East teams should think buy. West teams should think sell. The Griffin trade is the annual reminder: Things can change quickly in the NBA, and sitting still is rarely the right option. Published: Jan. 30, 2018, 10:36 a.m. Updated: Jan. 30, 2018, 9:18 p.m.